Is a ‘Sea Change’ in Store for Canby Real Estate? If you’ve been considering the sale of your Canby, Oregon home, 2018 could be the year to do it. That’s because some forecasters sense a possible change in our real estate climate. Whether temporary or not, recent multiple listing information appears to suggest that for now, our region may have reached peak price performance. Naturally, these figures don’t guarantee Canby’s 2018 real estate performance. This year it’s possible prices could rise. It’s also possible prices could fall. Buying low and selling high is a good way to ‘lock in’ profit. Added bonuses for now include our current low competing home inventory, plus attractive interest rates. What has helped to drive prices up has been a home shortage. An ‘average’ real estate market is frequently cited as having 3 to 6 months of house supply. At that level, neither buyers or sellers dominate. Our most recent regional housing level remains low. At 1.6 months of housing supply, that’s roughly half of what’s considered a low average figure. As a result, our ‘seller’s market’ right now is especially strong. But like the weather, that can change. Contact your CanbyHomes.com sponsor, Certified Realty at (503) 682-1083 for a free report on what your property could sell for in today’s seller’s market, or use the form below. Recent figures from the Regional Multiple Listing Service (RMLS) confirm our Canby real estate market remains on the upswing. Click here for the complete report. 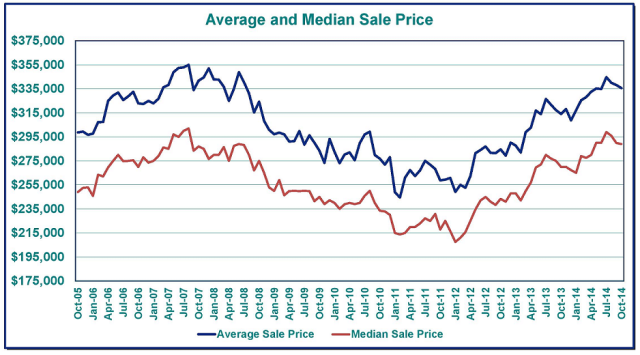 The definite upward price trend is due in part to a continued low inventory of homes for sale. A range of three to six months is usually considered a normal housing backlog. As a result, the average market time for a Canby area home is now at 48 days. The increase in the average greater Canby area home value is now up 7.5% over the past year. Thinking of selling your Canby area property in this strong seller’s market? Contact our CanbyHomes.com sponsor, Certified Realty using the convenient form below, or call (800) 637-1950. Can I Trust My Canby Area Realtor? Before entering into a business relationship, it’s helpful to know your Canby area real estate agent is nice, patient, available when needed…and honest. So while many of us assume we’re ‘safe’ in the hands of our doctor, attorney or pastor, what about your Realtor? Find out more here, or use the audio player below. Sadly, as seen in this TV news report, not all real estate agents are trustworthy. However, some preliminary work has already been performed by the state of Oregon confirming a real estate agent is sufficiently trustworthy to work with the public. These include a state screening, which involves a criminal background check, fingerprinting and mug shot. This data is submitted for review by the Oregon Real Estate Agency (OREA), which also provides regular updates about investigations in their insightful publication Oregon Real Estate Agency News Journal. Of special note is the OREA ‘Administrative Action’ section, which provides information about decisions regarding Oregon real estate violations. The resulting consequences to untrustworthy real estate agents could include a reprimand, license suspension, license revocation and/or a civil penalty. So while no screening process is foolproof (as witnessed by crimes committed by doctors, attorneys and other professionals), the state of Oregon does considerable due diligence to vet real estate agents. As part of the application process to become an Oregon real estate agent, any felony and misdemeanor convictions and arrests must be disclosed. The disclosure requirement is fairly high, because in addition to any criminal activity, also requiring disclosure are any administrative proceedings, plus civil and even financial issues. For example, if a prospective Oregon real estate agent has an unsatisfied judgment or bankruptcy, each must be disclosed. Trust is an important factor when buying or selling real estate. Thankfully, trusting your Realtor is not super risky. That’s because consumer surveys consistently reflect a high level of satisfaction with Realtor performance. One study by Forbes magazine revealed 96% satisfaction for the real estate industry. 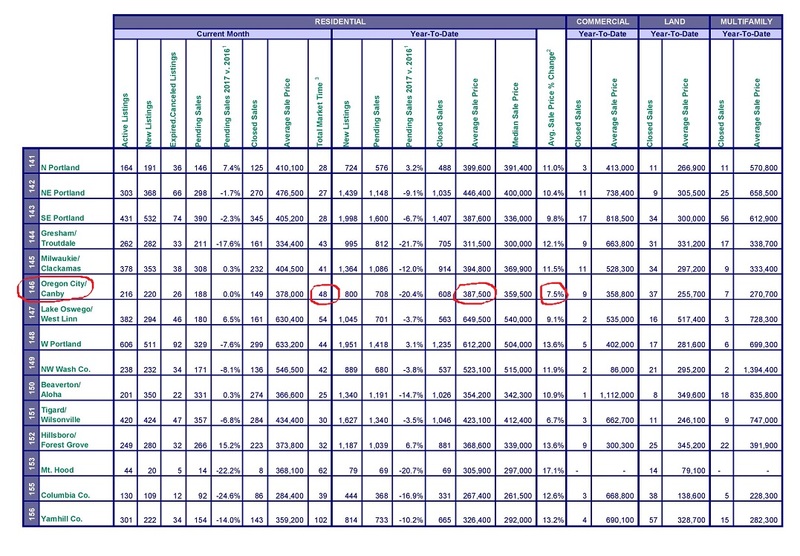 So if many real estate agents were dishonest, we could expect that figure to be much lower. This doesn’t mean blindly signing off on every suggestion one receives from their Realtor. But obsessively hand wringing over transaction minutiae is one sure way to make the process less enjoyable. A recommended approach is for Canby area homebuyers and homesellers to carefully read all documents, ask plenty of questions and work with a recommended professional with a solid track record. Looking at trust from a Canby homeseller’s perspective, for starters there’s significant trust needed to deal with buyers. For instance, trust is needed to allow strangers in your house. There’s also trust in taking your property off the market, in the hope a sale will go through. And trust in finding a replacement home. Trust is needed for Canby area homebuyers, too. Trust is necessary in working with a lender and that the discomfort of prequalifying will be worthwhile. Trust they’ll find a home they like and can afford. Trust their lender will come through. 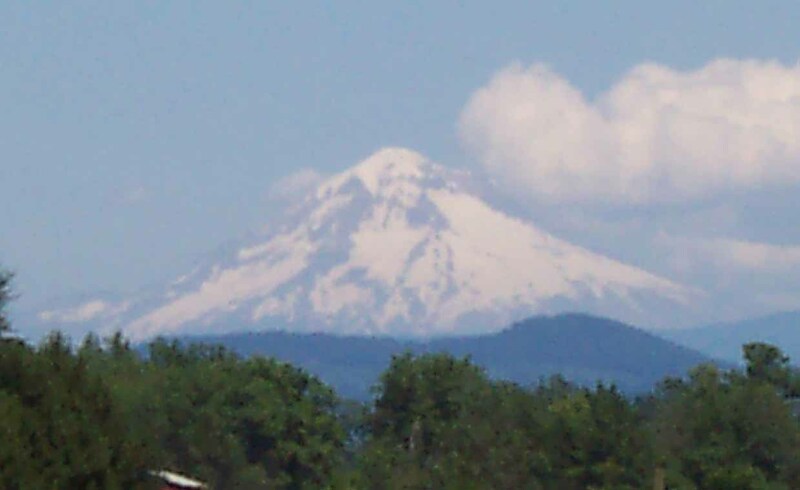 So what do Canby, Oregon homebuyers and homesellers share in common? Trust. And there is perhaps no greater trust that homebuyers and sellers have in common than in their Realtor. After all, your Realtor is someone you expect to be there to help navigate your way through what is frequently the largest financial transaction of a lifetime. Similar to an attorney or priest, Realtors are expected to keep confidences. But let’s first look at a few situations which underscore why it’s important to be able to trust your real estate agent. Trusting your Realtor means you don’t have to second guess suggestions you receive. Let’s take pricing your home, for example. If you can’t trust your agent to provide meaningful comparable home activity information, how can you possibly expect him or her to advise you once an offer comes in? Trusting your Realtor means you can breathe easier with less stress. Buying or selling a home is considered to be a particularly stressful activity. In addition, most homebuyers and homesellers don’t want to take on real estate as a second job, especially when making a house move. So expect that by having your bases well-covered by a professional you can believe, you’ll find the entire process far less taxing. If a Realtor is ‘pushy’ and won’t listen to your concerns, it’s likely a good time to find a new one. Trusting your Realtor means you can access his or her reliable resources. Speaking of taxing, if you need recommendations for an experienced 1031 tax exchange professional, or real estate attorney, or home inspector, or mortgage lender, or home repair contractor, expect those recommendations to be even more valuable from a trustworthy agent. Trusting your Realtor means you can focus. There’s usually enough to deal with throughout the course of any real estate transaction. Dealing with lenders, appraisers, inspectors, contractors, title companies and the like can be overwhelming. As a result, you’re more likely to be far more effective if you can concentrate on what you’re best at, while having your real estate agent handle what he or she is best at. Trusting your Realtor means more time. Just like you can expect to have more time to go fishing if you hire a contractor to build your new deck, working with a trustworthy real estate agent allows you to do other, more enjoyable tasks than scheduling a home inspection, constantly dealing with escrow details, or meeting an appraiser. Trust is easier when there is good ‘chemistry’ between a Realtor and their client. When seeking an agent to refer for out of area homebuyers or homesellers, there are many things that a Realtor can readily confirm. These include an agent’s years in business, designations earned, coverage area, plus areas of specialty like homes, farms or commercial property. As a result, I’m frequently able to locate a very good Realtor to ‘match’ with an out of state homebuyer or seller and it’s not always difficult. That said, the one challenging element to know with certainty is the ‘chemistry’ that even a highly qualified, out-of-area Realtor will have with a new client. People are different and that includes real estate agents. Most times relationships work out swimmingly with the referred agent. On rare occasions, it doesn’t work out. But going in and at least on paper, the homebuyer or homeseller who interviews a previously unknown, yet vetted Realtor, knows the agent is qualified and experienced, along with some important other facts about him or her. Plus, knowing these facts up front is typically less risky than taking a ‘shot in the dark’ with an unknown agent. Because agents are independent contractors, the individual Realtor is who typically matters most. After all, you don’t expect a faceless corporation to answer your late night question, or go over the details of your settlement statement. For example, I don’t care that much about what hospital I go to, but I want to have a say in the surgeon who will do the operating. Similarly, it’s the individual agent who is in a position to make the most difference, whether from a small or large office. However, longevity of a real estate firm can be helpful in determining that they are probably doing something right. So if a company you’re considering has been in existence for half a century or more, they’re likely not a ‘fly by night’ outfit. One of the ‘little secrets’ about real estate online is that they’re often paid ads. Realtors frequently buy what are known as ‘leads.’ Examples include Zillow and even Realtor.com. Sometimes this is done by the agent buying incoming inquiries regarding a specific zip code. Sometimes, the agent pays for better placement on a real estate website page in order to stand out. If you decide to use a magazine or the Internet to locate an agent, it may be best to consider that as a first step of information gathering. Promotional materials can be misleading and if carefully crafted, can leave out a lot of important information. For example, if an agent is brand new, he or she may focus on how many agents their company employs, personal community involvement like donations to charity, or sponsorships. While these could be nice facts, they may not have a lot to do with the agent’s proficiency, professionalism, or trustworthiness. One good way to find a trustworthy Realtor is to ask people you trust and get a referral. 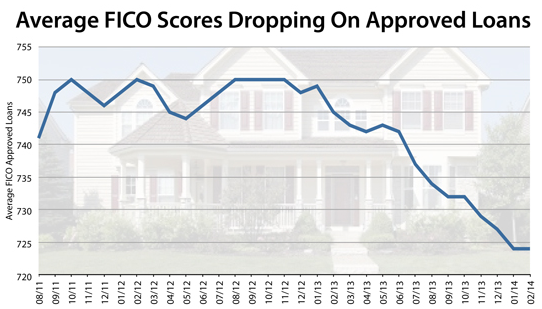 The ‘proof is in the pudding,’ so if your friend or family member is happy with a specific real estate agent, there’s a good chance for a similar repeat performance. What Color Hat Does Your Realtor Wear? White Hat or Black Hat? One area where certain real estate agents are sometimes revealed to be wearing either a ‘white hat’ or ‘black hat’ is in the area known as ‘dual agency’ or ‘disclosed limited agency.’ This is a situation when an agent with a listed property also works with the buyer. To be clear, most Realtors are aboveboard and honest, continually looking out for their client’s best interests. That said, the challenge to some agents comes when the agent attempts to ‘elbow aside’ other buyers, their agents and/or offers, in order to push his or her offer through. Why on earth would a Realtor push hard to get their offer accepted, since it’s all about simply selling the house, isn’t it? Not exactly. That’s because if the listing Realtor also sells your home, they typically get paid more. Dual agency is well known as a potential minefield among ethically challenged agents and as a result, the State of Oregon, the National Association of Realtors and the Oregon Association of Realtors all have rules in place to help prevent its abuse. In Realtor circles, the topic of dual agency has proponents and detractors. As a result, don’t expect every real estate agent you run into to have the same opinion. In reality, dual agency can be a very good thing, as seen in our previous article titled “5 ‘Insider Oregon Real Estate Tips.’ There, the topic ‘Having A ‘Double Agent’ Can Be A Good Thing‘ ranks as item #1 out of the five items listed. The advantages to having an agent on both sides of a real estate transaction are clear. The result, good or bad, can significantly depend on your agent’s trustworthiness. For example, hurriedly accepting the first offer can work out. That’s because sometimes the first offer is the best offer. Alternatively, acting without as much available information as possible sometimes comes at significant expense to the seller, who may be urged to quickly accept the offer their listing (seller’s) agent has written. The problem is that the listing Realtor can be expected to reasonably know how much activity there is on the property for sale. Again, trust is key here. More than once, an honest real estate agent working with a highly qualified and motivated buyer has inquired about a property, even written up that buyer’s offer, only to have the listing agent hurriedly put together his or her own offer and submit it to the seller in order to ‘tie up’ the property (and presumably make more money), before other offers can be considered. It’s a fact of the real estate business and as a result, unethical agents develop a reputation and are often viewed warily by others in the business. If all these elements don’t sufficiently complicate the task of finding a trustworthy Realtor, there is also a phenomenon you might call the ‘commission effect.’ This is outlined in a previous article titled ‘5 little Known Realtor Insider Tips:’ Realtors Can Calculate Their Paycheck by Viewing a Property Listing Sheet. This means that for agents truly focused on maximizing their payday, you might expect them to guide you toward homes that pay a higher commission structure. The listing sheet is typically only seen by multiple listing members. Thankfully, most Realtors simply don’t do business in this manner. President Ronald Reagan sometimes used the term ‘Trust, but verify’ during his high level negotiations. This old Russian proverb could be a helpful approach to grant you peace of mind in finding a trustworthy agent for your next real estate transaction. Do your research and ask family and friends for Realtor references. Be open and honest, then make your best decision based on relevant, reliable information for your situation. Do you have an Oregon real estate question? Contact our sponsor, Certified Realty today using the convenient form below, or call (800) 637-1950. Compared to the life of famed superspy James Bond, buying or selling Canby, Oregon real estate is dull and monotonous, right? Au contraire. You might be surprised to see how such a comparison actually sizes up. Click here or on the play button above to hear the audio podcast of this article. How could the seemingly routine tasks associated with Canby, Oregon real estate possibly compare to the life and adventures of ultra-suave Agent 007? Initially, it seems like a ridiculous question. Of course Bond’s life is far more treacherous, risky and ‘on the edge,’ right? As we’ll soon learn, not exactly. Buyers and sellers of Canby real estate have a lot more in common with the famous spy than first meets the bullseye. Many actors have played Agent 007 in film, yet each brings to the Bond character their own unique imprint on the multi-faceted Bond persona. But while each person playing 007 is unique, in each iteration of the well-known agent we recognize Bond’s uncanny ability to ‘land on his feet’ and ‘avoid being bested,’ while inching (or sometimes speeding) toward his well-defined goal. Let’s examine some of the super spy’s cinematic character traits and how they might relate to your next Canby real estate transaction. Here are some factors that make the so-called ‘average’ Canby, Oregon homeseller or homebuyer more daring than even Agent 007. Agent 007 is frequently seen as daring and a tremendous risk taker. But while it’s true some of Bond’s actions are potentially perilous, it’s helpful to realize that his risks tend to be thoughtfully calculated. 007 is usually well-armed, whether that means carrying his Walther PPK, or preparing mentally for the task at hand. If he’s without a gun, James Bond is able to adapt and improvise, like using a fire extinguisher in the middle of a firefight to provide cover and escape. A superspy like Agent 007 doesn’t constantly walk around like a tough guy. It’s actually quite the opposite. Bond knows how to work a room and deliver a well timed joke. ‘Breaking the ice’ to disarm and/or relax the other side with a joke takes some guts…especially when someone means you financial or physical harm. Savoir-faire is a French term that roughly means: knowing what to do in any situation. Those with savoir-faire respond appropriately in a wide variety of circumstances. One dictionary reference suggests savoir-faire as demonstrating “a polished sureness in social behavior.” In other words, classic James Bond behavior, whether it’s disarming a bad guy, nuclear device, or flawlessly ordering the best item off a French menu. Savoir-faire can be adapted to Canby real estate, where a wide variety of ‘tough to predict’ situations occur with surprising frequency. For sellers, this could mean having a buyer’s loan fail, possibly due to buyer disqualification like a credit score drop, or job change. Or perhaps your home needs a new roof and there simply isn’t sufficient equity to pay for it. Or there’s rampant dry rot. Or severe mold. You get the idea. A prepared and practical approach to problem solving is what both James Bond and successful Canby, Oregon homebuyers and homesellers bring to the table. Agent 007 is able to adapt and navigate in almost any environment, whether he finds himself in a high-stakes casino in Monaco, a posh ski lodge in the Swiss Alps, or a poor fishing village in Asia, Bond knows what to do. When buying and selling Canby real estate, you can adapt and navigate in different environments, too, including such changing factors as housing inventory (which can indicate if you’re in a buyer’s or seller’s market) and fluctuating interest rates. Just realize that no matter how things appear, some factors and outcomes are not completely determinable and sometimes virtually unknowable. For example, let’s say you’re selling your Canby home and have three offers on the table to consider. In this scenario, let’s suppose all buyers appear well-qualified and each offer is very similar to the others. Which one do you decide to accept? Which will actually close? Which buyer will be reasonable to work with? Which lender will have even-handed underwriting and not require needless delay or costs? Working with your Realtor, you can reduce risk, perhaps by focusing on how much each buyer is willing to pay, their down payment (where a larger down payment makes it easier for them to get a loan) and even the earnest money deposit and time to your closing date. Such an analysis can help boil things down to those that might make the most difference. The key is to limit your downside risk by making the best decision possible under the circumstances and remain alert. For example, if after accepting one offer on your Canby home, the buyers begin loudly complaining about minor issues, have your Realtor stay in touch with other prospective buyers who expressed interest. That way, you keep the door open for a ‘Plan B’ and later, possibly a ‘Plan C’ if initial buyers bail on your home sale. Agent 007 is often described as debonair. How can that term possibly apply to your next Canby real estate transaction? There are varied definitions to the term debonair, but related terms include courtesy, graciousness and having a sophisticated charm. These traits can be powerful and disarming when dealing with the other side on a home sale. An example of courtesy might mean allowing buyers to schedule a tour before closing for measuring room dimensions or determining paint colors. Being gracious could mean as a buyer you allow the home sellers an extra day to move out, particularly if their moving van broke down. Sophisticated charm might mean leaving a box of chocolates or champagne after you sell a home for when your homebuyers finally move in. Small details perhaps, but such activities are often long remembered. If after moving out, you remember leaving priceless heirlooms in the attic of your former home, imagine how much nicer it will be to request the return of your precious items from the current owners with whom you’ve been civil and friendly. They are also more likely to even contact you if they find something you mistakenly left behind. There’s good reason undercover agents are also known as secret agents. ‘Don’t let them see you sweat’ is an adage Agent 007 works with aplomb. So you don’t want to lose out on your home purchase and are willing to substantially increase your offer, yet don’t want to overpay? Keep those cards discreetly close to your vest and understand that by doing so, you’re modeling James Bond, who can definitely keep a secret. He’s a spy, after all. Though James Bond can swagger with the best of those who hold the ’00’ license to kill designation, he’s usually discrete and avoids attention or bragging about his prowess. Such meekness is supremely beneficial in situations to disarm adversaries, while catching them off guard. Agent 007 doesn’t often talk about how many people he’s put in the hospital, or his annual income. Simply by observing him, it’s clear Bond has gravitas. Having courage when buying or selling Canby property doesn’t mean you don’t feel fear. It does involve pushing that fear aside to rise above whatever obstacle you are facing. Agent 007 pushes himself out of his comfort zone to face serious fears on a daily basis. This gets him used to feeling comfortable with the uncomfortable. As a Canby, Oregon homeseller or homebuyer, once you desensitize yourself to fear, it will become easier to perform courageous acts, like counteroffering that offer you really don’t want to risk losing, or agreeing to substantial repairs in order to pass a home re-inspection and close the deal. In the middle of a real estate transaction, it’s easy to be overwhelmed. To be successful, it helps to have a well defined plan executed with patience. You also should allow sufficient time for your plan to work. For example, if you’re a Canby homeseller who doesn’t receive an offer in the first few days on the market, understand that if you’ve already examined the latest market data and the average market time is measured in months and not days or even weeks, realize your anxiety may be premature. Keep cool. When buying or selling Canby real estate, it doesn’t hurt to have an experienced Realtor as your own ‘Q’ to keep you out of difficult situations. An experienced real estate broker is someone who has been ‘over the road,’ thereby saving you needless expense, time and worry. So rather than having Bond’s sidekick ‘Q’ demonstrating gadgetry and armory (like a blowtorch on Bond’s Aston-Martin convertible), Canby residents can rely on the calm, cool and collected experience of a proven local Realtor to more successfully navigate pitfalls sometimes found in regional real estate. Do You Have Questions About Canby Real Estate? For a free consultation, contact our CanbyHomes.com sponsor, Certified Realty using the contact form below, or call them at 800-637-1950. Sometimes absorbing the sea of Canby, Oregon real estate information seems more like drinking from a fire hydrant. Yet, out of all the sometimes helpful real estate data bandied about, there is one especially helpful number, which when understood, can provide near-magical clarity to Canby, Oregon homebuyers and homesellers, alike. What is this ‘magic’ number and what does it represent? 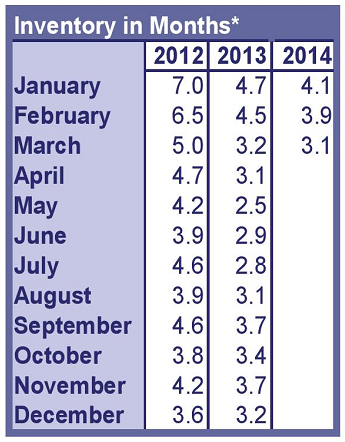 Simply put, it’s the current figure for housing inventory, typically expressed in months of projected home supply. Listen to the audio podcast presentation of this helpful program on Canby, Oregon real estate by clicking here or on the above link. Among real estate experts, a ‘normal’ range for home supply in parts of Oregon-including Canby-is frequently cited as somewhere between three to six months. For example, if the home supply figure is three, then hypothetically our market would be ‘out of homes’ in three months, provided no new homes were placed for sale. In other words, if our regional home inventory figure is somewhere between three to six months, we’re typically experiencing a normal market, meaning one not far from a balance of supply and demand, also called equilibrium. In a way, home inventory is kind of like an ‘absorption rate’ for how fast supply is used up. It’s helpful to understand that home inventory figures are more of an average for a region. In Oregon, some major real estate regions include Portland, Bend, Eugene, Salem and the Oregon Coast. Canby is closer to Portland, which makes it part of the greater Portland area metro for purposes of market statistics. So if your property is located in or near Canby, the Portland area inventory figure is frequently cited as a bellwether for housing backlog. If your home is located closer to Aurora or Hubbard and within Marion County, the Salem inventory figure provides an alternative approximation of local home supply. It’s also possible your specific area could be somewhat different altogether, based on a hybrid of hyper-local factors affecting both demand and supply. That said, home inventory is an undeniable and convenient ‘thumbnail’ sketch to help assess your market. What’s The Practical Impact of Housing Inventory? Consider real estate and inventory like a pipeline. If more flows through it, the product is plentiful and therefore the cheaper it is to buy. So with a lower, dwindling home supply and the spigot turned down, the reverse is true. That’s when the local real estate environment favors sellers, because there are more buyers and it’s considered a ‘seller’s market.’ In that case, expect a short market time and an environment where homesellers receive multiple offers, often at or above listing price. If the supply of homes is higher, it’s considered a ‘buyer’s market.’ This means you can expect a longer market time, with homesellers seeing few, if any offers…and frequently for less than the asking price. It’s routinely a good idea for buyers to get a ‘heads up’ before making an offer to determine how ‘hot’ or ‘cold’ the market is. Otherwise, if you ‘lowball’ a just-listed home in a seller’s market, you may be lucky to even get a counteroffer instead of an outright rejection by sellers experiencing lots of calls and showings on their property. Coming in with an offer that’s too low sometimes causes offended sellers to refuse to seriously consider a possible follow up offer. What’s the Big Deal About Housing Inventory? One reason housing inventory is so important is because it helps buyers and sellers to better manage expectations. Most buyers are interested in how long it may take to find the ‘right’ house. Inventory affects this. Alternatively, most sellers are interested in how long it may take to find a qualified buyer. Inventory affects this, too. That’s because a high home inventory tends to slow down the market time and low inventory frequently provides a ‘jump start’ to activity. One way sellers can help to avoid an excessively long market time is to review comparable local home sales information provided by their Realtor to ensure proper, market pricing. Another reason housing inventory is crucial is because it can significantly impact so many other important factors. In other words, inventory is a ‘driver’ for market time, selling price, appraisal results, lendability and more. Okay, So Inventory Is Important. What Does It Look Like? The above image provides a good example of fluctuating home inventory. As our Canby, Oregon real estate market bounced back from the severe market downturn of the Great Recession, regional home inventory reduced from more than 20 months of housing supply to less than three. Thinking about selling your Canby, Oregon property? 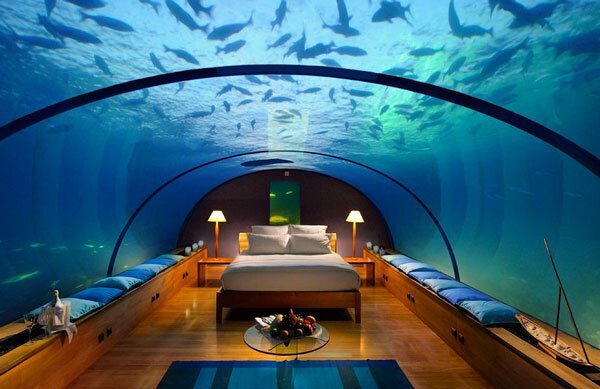 Know the market before diving in! Contact Certified Realty with your questions and for a free consultation on what your property could sell for today using the contact form below, or call (800) 637-1950. There are many good reasons why Canby homesellers hire a Realtor, including the handful who first try the ‘for sale by owner’ or ‘FSBO’ route. Here are ten of the most common reasons why Canby, Oregon homesellers hire a Realtor to get the job done right. Hear the audio podcast version of this presentation by clicking here or the link above. 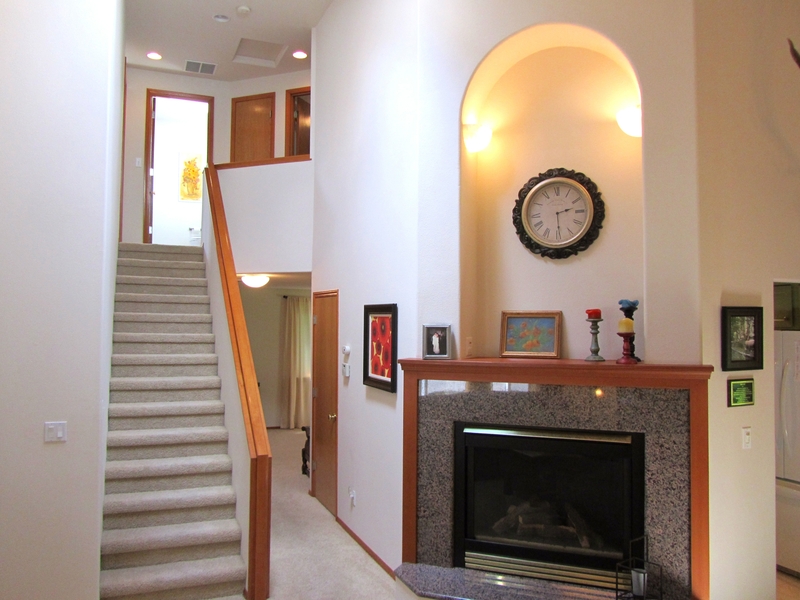 Selling Your Own Canby Home? Prepare Yourself for Wearing Many Hats. 1. Selling Your Home ‘By Owner’ Means Taking on a Second Job. Most homesellers are busy. So before attempting to sell property on your own, first ask yourself if you’re prepared to wear some extra hats. That’s because in addition to (1). preparing your property for market and (2). finding a replacement dwelling, along with (3). the task of actually moving, selling your home involves (4). abundant planning, (5). serious paperwork, (6). negotiation skills, (7). accurate scheduling, (8). diligent research, (9). considerable legwork (if done right) and (10). a lot of just plain toil. 2. Legalese, Sometimes with Different Rules for Each County and/or Municipality. Realtors use continually-updated forms written by experienced real estate attorneys designed specifically for regional transactions, with clarity and simplicity in mind. Such documents include important protections for both buyer and seller. While no document is perfect, Realtor forms include key clauses, like for home inspections and appraisals, along with arbitration/mediation mechanisms. These time-tested documents help prevent potential issues, while at the same time deterring ‘nuisance’ litigation. 3. 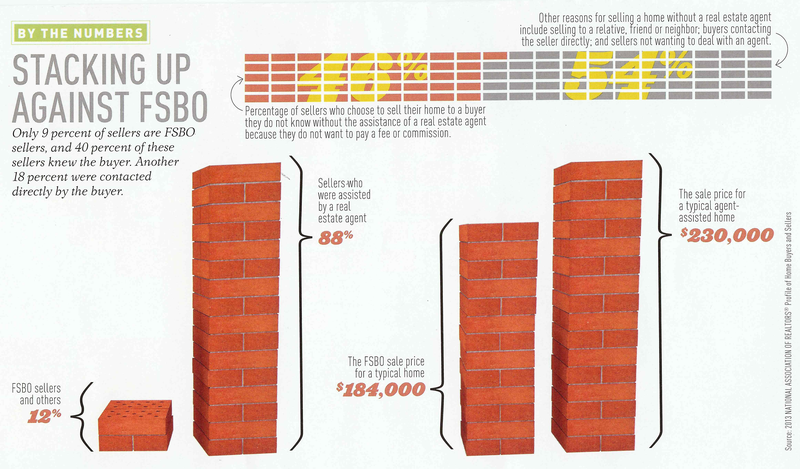 More Accurate Pricing When Buying & Selling. These days the average Canby resident moves about every 6 years years or so. As with any activity, it’s easy to get rusty. Realtors are in the real estate market all day, every day. This means an experienced real estate agent can provide significant market awareness to help you price what’s likely to be your single largest investment. Armed with access to multiple listing, sales and tax data, Realtors provide significant pricing experience and real life insights, whether you want to know what the property you’re selling is worth, or once you sell, how much to offer on the home you’re buying. We all deal with subjectivity from time to time. Does your home smell? Perhaps you’ve gotten used to having multiple pets in your small home, don’t notice the mold growing in your bathroom, or haven’t realized how gloomy your living room appears. One role of a Realtor is to be helpfully honest. That means being truthful if there’s something you as a seller don’t see (or smell). Far better to be forewarned and forearmed by your Realtor, than witness a rapidly exiting conga line of mum homebuyers who don’t want to offend you. Or perhaps you don’t think disclosing settling water in your basement each Winter is a big deal. The reality is that disclosing such a potentially material fact is something dutiful agents will advise in order to keep you out of much hotter water after the sale. Have you ever studied a real estate earnest money agreement (also called an EMA or purchase agreement), or seller’s ‘net sheet?’ Over the course of a transaction, it’s easy to accumulate an abundance of ‘junk’ fees. Sometimes seller-paid closing costs are necessary to make a transaction work. However, paying for a buyer’s home warranty is typically more of a buyer ‘want’ than a ‘need.’ Count on your Realtor to go over such factors with you for a ‘heads up’ of what to expect. An experienced agent knows what’s usually ‘routine’ and what’s not. Even if a Canby homeseller has a sense of what his or her home is worth, effectively reaching the the widest number of buyers increases your opportunity to find more motivated and qualified buyers, even creating a ‘bidding war.’ The simple act of listing your home with a Realtor means your property is immediately promoted on a host of proven, effective home marketing venues. But it doesn’t stop there. Successful Realtors use many different tools to reach buyers for your specific property. Connecting your property with the right buyer can mean the difference between a fast close at full price (or higher), compared to a continuous stream of ‘sale-fails’ where your property is needlessly taken off the market by buyers who were marginally qualified. There is simply no substitute for ‘hands on’ real estate experience. 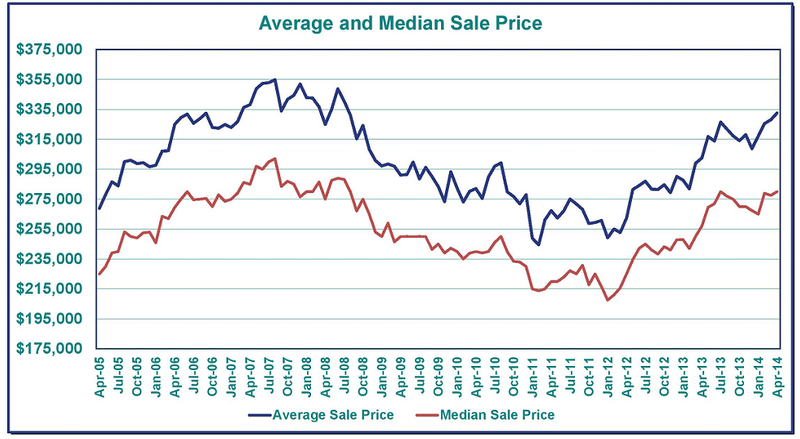 If your Canby home hasn’t sold, at what point should you consider a price adjustment? How much of a price adjustment is necessary? Is there something other than price causing my property not to sell? These are not new questions to an experienced agent, who can help address these and other important questions. When it Matters, Experience is Good to Have on Your Side. It’s comforting in especially difficult situations to rely on an experienced Realtor, who is the duly able real estate ‘captain’ of your transaction. Most people prefer an experienced surgeon or pilot, so it’s understandable to want experienced representation with the important task of selling your home. It’s also helpful to know that a professional real estate agent makes the entire home selling process appear easier than it is. If you’re like most people, you dread negotiating when buying a car. Consider how much higher the stakes are with your home sale. You want an experienced hand on your side. While real estate transactions are optimally a ‘win-win’ situation, it’s realistic to expect some friction. If you haven’t considered homeselling as a kind of ‘war,’ check out this unique perspective on the ‘battle’ of selling your home. The best way to navigate through a potentially difficult transaction is to be represented by someone who has been over the road before. So whether you’re in negotiations with a ‘bargain hunting’ buyer, experience an unpleasant ‘surprise’ in a home inspection, or a seriously low appraisal, each unique situation presents an opportunity for difficulty and reaching common ground. Your Realtor can assist in ‘end gaming’ your best strategies and in dealing with a wide variety of buyer personalities. Having an agent represent you makes it easier to maintain civility between ‘warring’ parties. If you don’t consider homeselling as a battle, then see our prior article and podcast titled ‘The Art of War for Homesellers.’ Ever say something you regret? An experienced Realtor can often use more constructive language to accomplish what can sometimes be an emotional and/or provocative comment. National Association of Realtor statistics reveal that homesellers who use a Realtor actually net considerably more at closing than those who don’t, even after taking into account paying a commission. Consider that when banks (which are renowned for watching the ‘bottom line’) sell their foreclosed homes, they hire an expert, a Realtor. From a financial standpoint, it really does ‘pencil out’ to hire a Realtor. Thinking about selling your Canby, Oregon home? Contact Certified Realty, Oregon’s choice since 1950 using the form below for a free consultation. 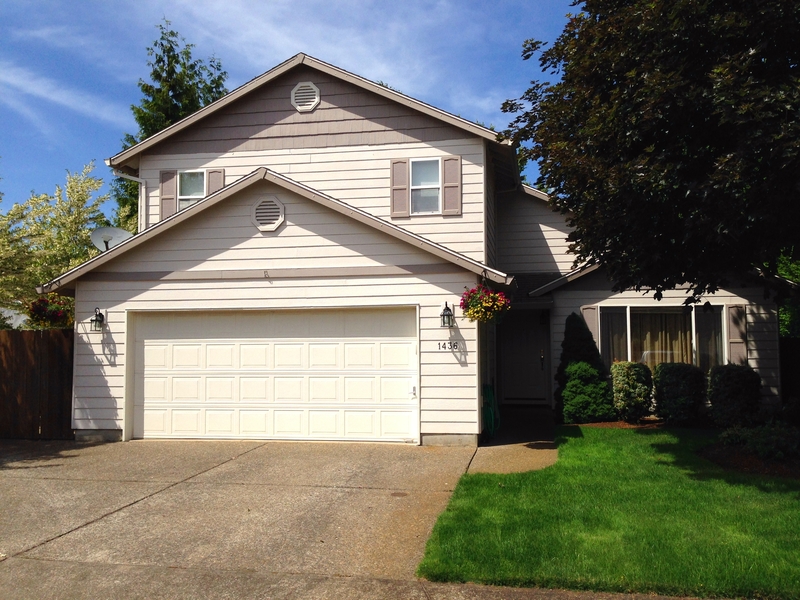 Just listed in Canby, Oregon is this attractive two story home. Located in a low-traffic neighborhood, this property is priced to sell at $292,500. Click here or on the above image to view the full color flyer for this attractive, recently listed Canby home. Predictions on Canby’s real estate market are difficult to make with accuracy. Consider local weather forecasts. Even when armed with technology like detailed satellite images, plus wind, barometric and temperature data, weather forecasters can get it wrong…and that’s for predictions merely a week or two away! Now imagine the difficulty in predicting real estate market activity a full year into the future. Along with seasonal influences, other challenges in real estate forecasting include changing interest and employment rates, ever-shifting home inventory levels, plus a myriad of lending regulations and the mysteries of the Federal Reserve’s monetary policy, just to name a few. Little wonder, then that some view real estate predictions as akin to flipping a coin or using a dart board. While not foolproof, one generally helpful tool for predicting future real estate trends can be past real estate trends. Major unpredictable shifts occasionally occur, but the key word here is occasionally. For example, the Great Recession that hit Canby and the entire country starting around 2007-2008 was our nation’s worst economic downturn since 1929. Thankfully we haven’t seen such financial meltdowns every year, or every decade, or even every half century. So aside from similar cataclysmic shifts, a certain degree of real estate predictability is possible. Most homebuyers need a home loan, generally known as a mortgage. The good news is that mortgage credit is becoming more available as lenders loosen credit requirements. Government-sponsored loans from Fannie Mae and Freddie Mac recently brought out a 3% mortgage option. If conventional lenders also start offering similar low-down payment choices, this could bring more first time homebuyers into the market. This vital Oregon buyer group has long been under-represented, with their levels at the lowest since 1987. Recent figures from the National Association of Realtors confirm homebuyers are now more optimistic. This includes our area. 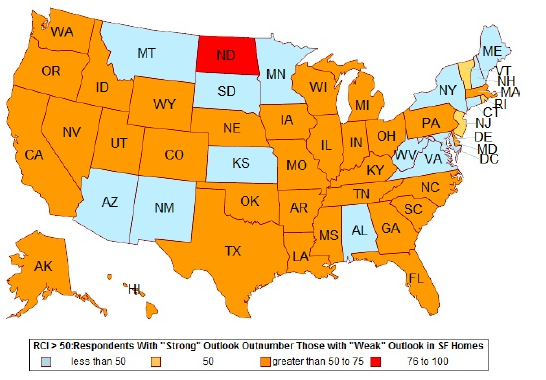 When it comes to single family homes, the ‘Confidence Index’ chart below shows most states now have a majority level of optimism in their region, including ours. Thanks in part to the reduced level of local new construction, home inventory in our region is still near historic lows. Our most recent survey shows we have 3.2 months of housing backlog. This suggests we have more buyers than sellers. As a result, Canby homesellers can take advantage of what remains largely a ‘seller’s market’ heading into 2015. If you’ve held off selling your Canby home because you were ‘under water,’ or concerned about the market being too low, now is a good time to consider re-evaluating. Canby’s real estate market has changed. Experts predict regional home price growth to continue at a steady, albeit slower pace through 2015, compared to the 7.2% price increase to date for 2014. As a result, some suggest a 3% annual increase in area home prices. Depending on a variety of factors, that may indeed end up being conservative on the low end. For Canby, expect between 3% to 6% in 2015 home price appreciation. New figures from Ticor Title Company show little change of late in the median list price of a Canby home, with an increase in the average days on the market. To view this latest report on Canby real estate, click here or on the above image. Thinking about selling your Canby property? Contact our sponsor, Certified Realty using the convenient contact form below for a FREE report on what your Canby property could sell for in today’s market. A very telling article was recently released in a national real estate journal. In just two images, it explains why the vast majority of homesellers work with a Realtor. The infographic on the left shows the huge percentage of homesellers who hire a Realtor. The infographic on the right shows why. Homesellers average a 25% higher selling price with a Realtor. Thinking about selling your Oregon property? Don’t leave money on the table. Certified Realty sponsors CanbyHomes.com and is Oregon’s choice since 1950. Contact Certified Realty for a FREE report on what your home could sell for in today’s market using the convenient form below. With school beginning as we move toward Autumn, it’s reasonable to expect a somewhat slower pace of Canby home sales. That’s because many, though certainly not all, 2014 buyers have bought their home by now. A sizeable number of homebuyers target September as a good time to have made their move. This brings “empty-nesters,” relocating transferees, singles, and young families to the forefront as a bigger potential portion of the buyer pool for the remainder of the year. For sellers, Autumn can bring more motivated buyers with less competition from other home sellers, when compared to Spring’s fast-paced real estate tempo. If Spring’s real estate tempo is a Viennese Waltz, Autumn and Winter are a Foxtrot. The average time on the market for a Canby home is now 115 days. 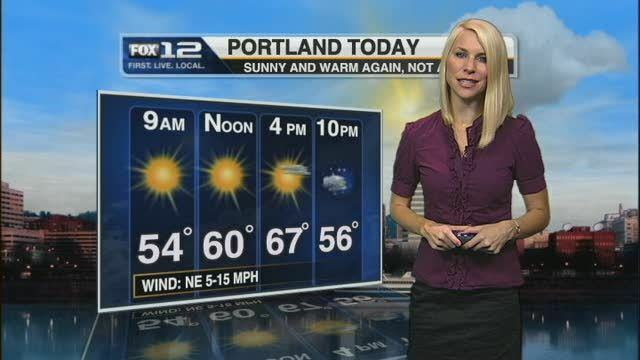 This compares to the most recent figure of 93 days for greater Portland. Click here or on the image below for the latest information about Canby real estate. Thinking about selling your Canby area property? For a FREE report on what your home could sell for in today’s market, contact our sponsor, Certified Realty using the convenient contact form below. A recent report on Canby real estate provides some helpful insights into our current market. The study includes local market data on Canby and neighboring towns. What makes this report so interesting is that the data is from the Willamette Valley Multiple Listing Service, known as WVMLS. 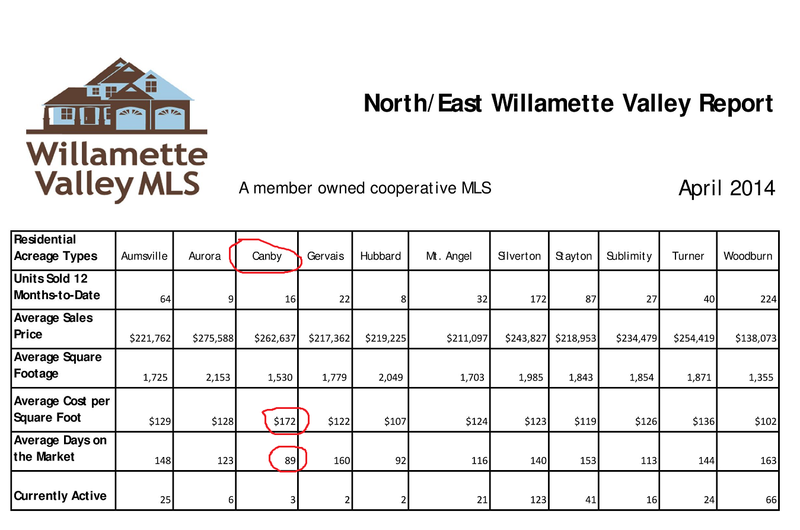 Of the two largest multiple listing systems used to market Canby homes, the Portland-based RMLS (Regional Multiple Listing Service) dominates and WVMLS is less commonly used. However, comparing Canby only to areas like Wilsonville, Tualatin and West Linn using the Portland area’s RMLS provides only one perspective of Canby housing. Using WVMLS provides some balance and helps to capture a better total picture of our Canby housing market. Indeed, some buyers compare Canby to outlying areas like Aurora, Hubbard and other neighboring communities when searching for their next home. 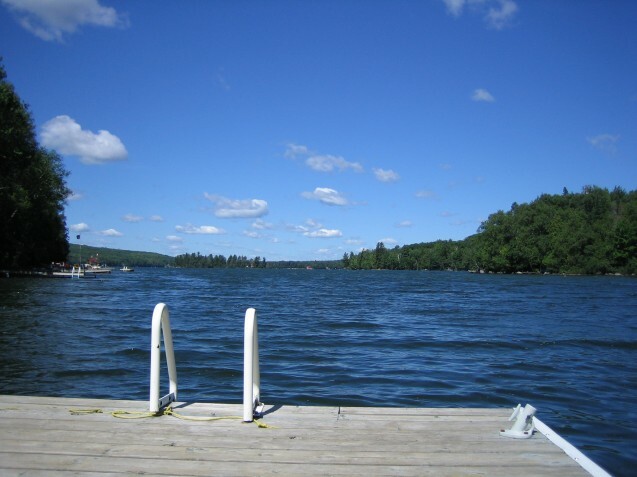 To learn more about the two major multiple listing systems in our area, click here. With an average market time of 89 days, homes in Canby sell quickly compared to neighboring communities. Homes in neighboring towns like longer, like Aurora (123 days), Silverton (140 days) and Woodburn (163 days) . Canby has one of the smallest average home sizes of all towns surveyed. With an average of only 1,530 square feet of living space, only Woodburn comes in lower with an average home size of 1,355 square feet. Canby homes by far have the highest average cost per square foot at $172. Other local towns don’t even come close. Thinking About Selling? Choose The Professionals! The experts at Certified Realty can provide you with a FREE report on what your property could sell for in today’s market. Certified Realty sponsors CanbyHomes.com and they remain Oregon’s choice since 1950. Count on Certified Realty to provide effective dual multiple listing coverage for optimum marketing of your Canby property. With nice weather and fewer competing Canby homes on the market, now is a great time to contact Certified Realty using the convenient contact form below. There are fewer homes on the market right now. Our 3.1 month supply of homes means demand is stronger. That frequently translates to higher home prices. And with fewer competing sellers, you may need to negotiate less for your best deal. 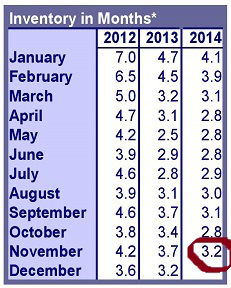 Our Housing Inventory Drops During Spring & Summer. Many home buyers shop in earnest during better weather. Why? It’s easier, more fun and there’s more daylight. But there’s one other reason you may not have considered: School is out soon and that is a great opportunity for families with kids to move during Summer Vacation. Don’t miss out on these buyers! In Oregon, Beautiful Weather Takes Us Outdoors For Recreation And Home Buying! One of the big factors affecting home affordability is the interest rate charged by your lender. Interest rates remain near historic lows. This means even with rising prices, buyers can find homes to be more affordable if interest rates stay attractive. 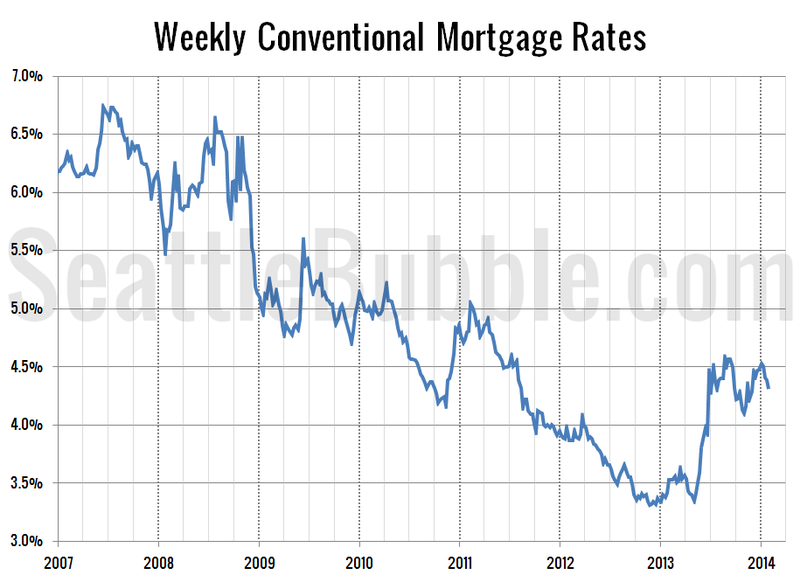 They’ve nudged up, yet mortgage interest rates remain attractive. Thinking about selling your Canby home? Contact our sponsor, Certified Realty using the convenient form below for a FREE report on what your property could sell for in today’s market. Canby’s own JV Northwest is receiving notice across the country. That’s because along with their production of stainless steel tanks for pharmaceutical and alternate energy products, JV Northwest also builds high quality brewing systems, including one in faraway Michigan. Outstanding companies like JV Northwest help to grow Canby’s economic base while providing living wage jobs. This allows more people in our community to purchase Canby homes and invest in our local businesses. 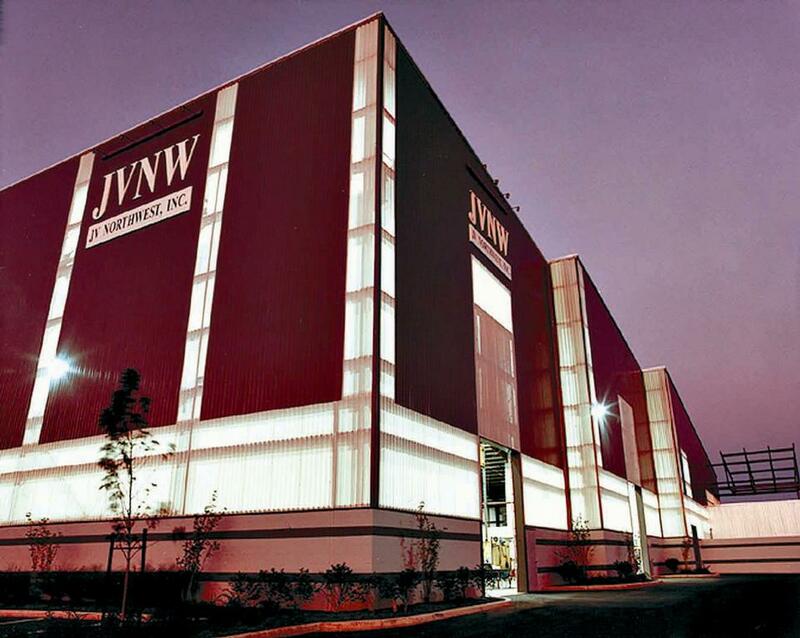 And did you know JV Northwest has federal patents on some of the products they’ve invented? Learn more about this outstanding Canby business here. Thinking of buying or selling a Canby home? Contact our sponsor, Certified Realty using the convenient contact form below for a FREE report on what your Canby property could sell for in today’s market. Canby Home & Acreage: SOLD!